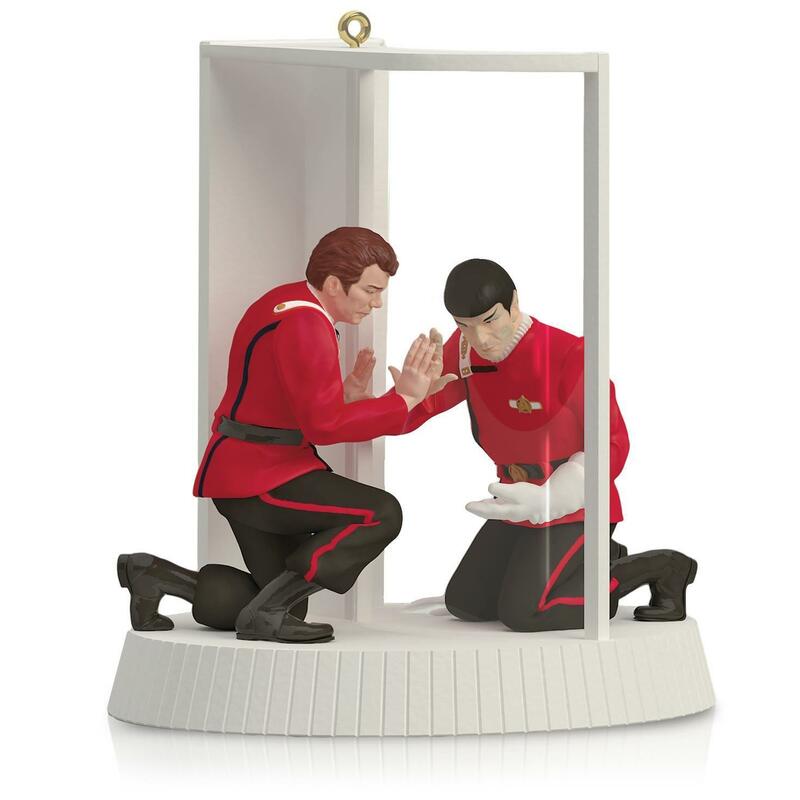 Yep, that’s the scene from the end of Wrath of Khan, where Spock sacrifices himself for “the many.” In fact, that’s the name of the ornament: The Needs of the Many Ornament. But check out King Ghidorah!! Every month CNet publishes all the titles that are coming to, and leaving from, the Netflix collection. You can check out this month’s list here. IMHO, they’re losing more than they’re gaining in October. … On a Barbie Pole. Sadly, Zuckerberg was probably surprised at a result that was obvious to us. At least he put his money where his mouth was. Sophie Cruz’s brief encounter with Pope Francis during his parade in Washington this week appeared to be the kind of spontaneous moment that is so endearing about this pope: an initially hesitant young child wrapping an arm around his neck as he offers a kiss and a blessing. They had even pulled off a similar public-relations coup a year ago in Rome using a 10-year-old girl with the pope. They’d been preparing for almost a year? How can we compete with that sort of dishonesty and focus? I don’t think we have it in our natures to compete with this sort of media manipulation. Fiorina’s description of rising “from secretary to CEO” conjures a Horatio Alger-like narrative where a character starts at the lowest ranks of an industry, pulls themselves up by their bootstraps and, against all odds, reaches the top position in the industry. When Fiorina uses this phrase, she often pairs it with saying she came from a “modest and middle class family,” or “challenging the status quo,” which frames her story as an unlikely upstart. Fiorina uses a familiar, “mailroom to boardroom” trope of upward mobility that the public is familiar with, yet her story is nothing like that. In telling her only-in-America story, she conveniently glosses over the only-for-Fiorina opportunities and options beyond what the proverbial mailroom worker has. As such, she earns Three Pinocchios. Three Pinocchios is reserved for “significant factual errors or contradictions,” so it’s basically saying that Fiorina’s story is incorrect. But of course, it’s not. The only errors here are in MYHL’s obvious biased interpretation of the facts. MYHL’s argument basically comes down to this: Carly Fiorina went to Stanford, which kick-started her career. Somehow the fact that Ms. Fiorina went to Stanford tainted everything thereafter, so she doesn’t deserve any credit for climbing the ladder to the position of CEO at Hewlett-Packard. Carly Fiorina graduated from Stanford with a completely useless degree in Medieval History & Philosophy. She tried law school but hated it, so she worked as a receptionist while she tried to figure out what to do. Then she moved to Italy and taught English, still trying to find a direction. After some time in Italy she came back to the US and entered business school, and that launched her career. You can see that her Stanford degree wasn’t a huge asset, and if you read her story, you find that it was her persistence, initiative, and performance that earned her a fast track to upper level management. She managed to impress her teachers and managers at each stage, so they recommended her for advancement and special opportunities. Her career arc resembles a Horatio Alger story far more than the “born with a silver spoon” narrative MYHL is trying to sell. So, did she start from the bottom, re-invent herself, and make it to the top? She certainly did. It is, once again, MYHL who is the dishonest storyteller here. I don’t know if her bias stems from her progressive bent, or from the jealousy of someone who could never get into Stanford, but whatever the source, it’s huge and blatant. Good luck with that. You can read the UN resolution here. But one man’s unwelcome expansionism is another man’s “gift” to a needy society – how to tell whether expansionism is good or bad? Is what that CAIR fellow said (if he really said it – he says he didn’t) all that bad, or am I just looking at it through prejudiced Western eyes? Well, IMHO just as the arrow of time is defined by the direction that increases entropy, the virtue of expansionism is defined by the direction that increases personal freedom. Since Western culture celebrates personal freedom, I think its expansion is a positive for the world. Cultures which restrict personal freedom are a negative. 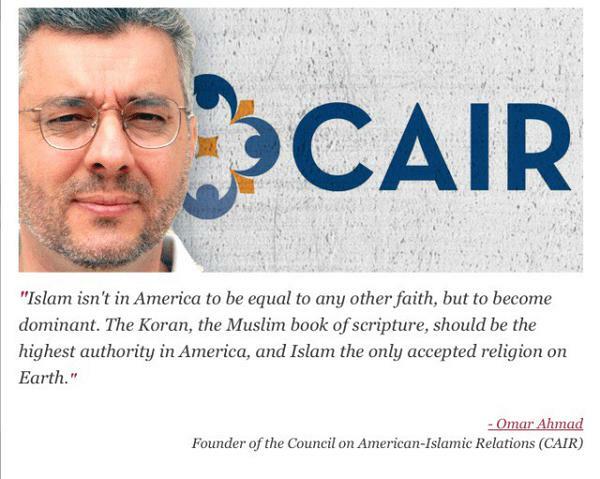 And that CAIR statement is definitely oriented towards restricting personal freedoms. There has been a longstanding prejudice against electing a Catholic as president due to the concern that the president would have two loyalties: one to the United States and one to Rome. Only one Catholic has ever been elected to the presidency (JFK), and he didn’t even get to serve a full term. So the US has never dabbled much in non-Christian religions, with JFK representing the biggest excursion away from Christianity (with the possible exception of two presidents who had no apparent religious affilation). No Jews, Hindus, Buddhists, or Muslims have ever served in that office. Which is one reason why I’m not really impressed by the furor over Dr. Ben Carson’s comment that he wouldn’t advocate that a Muslim be president. Most Americans have apparently not advocated that a Catholic be president, and Catholics make up a quarter of our population. Another reason is that the first knee-jerk response from the media (and even Carly Fiorina) has been to cite the Constitution, which places no religious restrictions on eligibility for the presidency. But Dr. Carson never said that Muslim’s couldn’t run for office, he simply said that if a Muslim president’s loyalties were divided between the US Constitution and the Islamic traditions of theocracy and sharia law, he wouldn’t be a fan. That’s fair. I would rather have a president with split loyalties between a Pope and the US than someone whose driving motivation was to fundamentally transform the US. Oh dear. I guess it’s too late to choose.